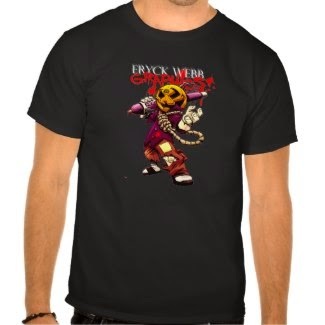 Halloween Dewd O Lantern 2013 Tee - OWN IT! Just in time for October, the Halloween themed artwork featuring DewdOLantern, a halloween-esque variation of the EWG mascot, dEWd. Scribbling cryptic graffitis with his wacom stylus that looks strangely like the one i use. Hes wayyy too happy with that noose around his neck and blood uh i mean ink splotched all over the place. Just some fun stuff. Get it to wear any time of year or for your next Halloween event. Available exclusively in the Zazzle EWG store! A little glimpse of somethin in the woiks for october here in EWG land. Stay tuned for the final version Oct 1st! Finished art for page 3 of an Independence Eagle backstory for the customer's OC. Alright... I'm done for today. See everyone 9pmEST tonight for some fun freestyle EoSS order drawings! 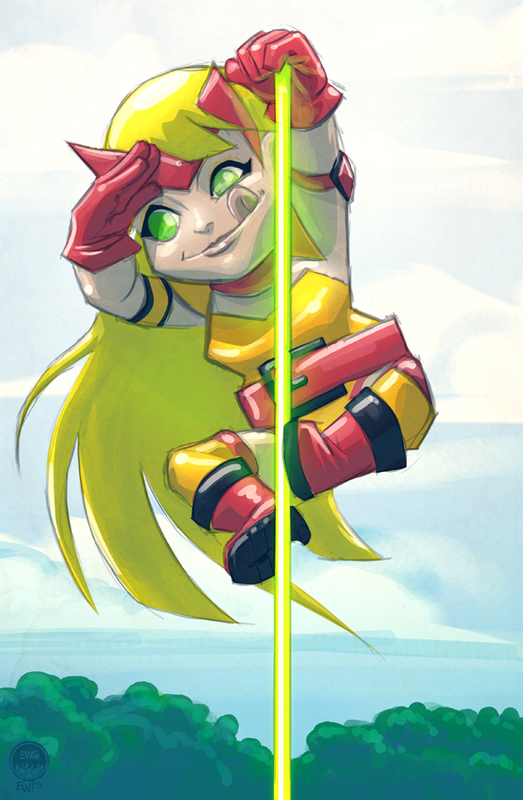 Also streaming some comic commission work this afternoon if you dig that kinda thing. 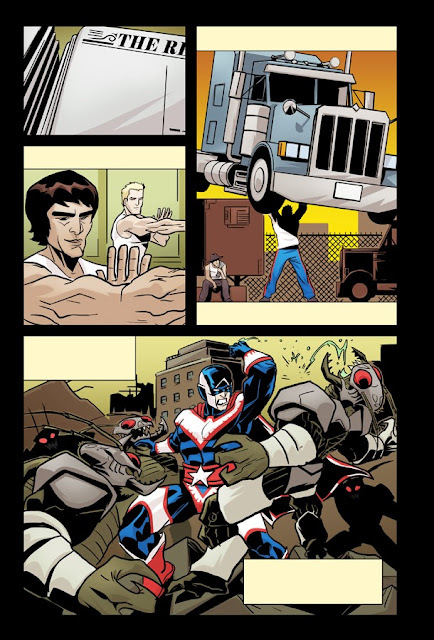 Also, in keeping with the theme... am broadcasting my Independence Eagle comic work this afternoon. Getting it colored and finished over the next couple of hours. Feel free to stop by say hi. Snagged from their site - this is the one I got. Basically the book and a print and a bookmark. I just want the book honestly :) But bonuses are always good! 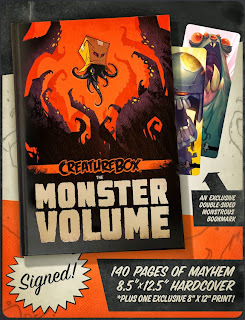 Just ordered The Monster Volume from Creature Box. 140 pages of inspiration to be sure. Love these guys. So now the waiting game begins! :) Look forward to absorbing every detail. I just want the book/ art so I didnt get the big fancy one. Got the simpler option! Pretty full day. Worked a full day then washed the truck, helped pappa jobe with tossin roofing materials up on the garage and saw a nice sunset. Watched lots of duck dynasty and some alway sunny. 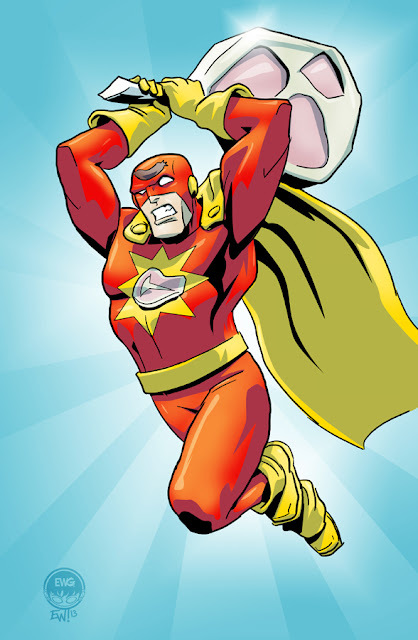 had a mean toasted ham cheese and tomato sandwich for din din and got some chores done. all in all good day. though wally was a turd to me when i tried to take a nice walk through the woods with him and he ran all the way back to the house LOL. i got a free hour on my way to bed... hmm... think i'll do a lil' script writing then go to bed. be back to work 8am. I think 8 hours working straight up, and 8 hours off is a good balance. Even steven. Perhaps? Yah. Diggin this new work flow. Sketching the ol' roman god himself. But hes sporting some 'tude this time around. Fun factoid, did you know that that staff is the most widely used medical symbol in the world and it has nothing to do with medicine? It is for commerce and peace and rising above conflict (the angel wings rising above two warring serpents). The proper symbol is a different one that is one pole with one serpent, but admittedly its not as cool looking. Perhaps the only reason they use this one. We can make up, and twist our own meanings to make the angel winged two serpent staff fit but the original meaning is not at all related LOL. Anywho, this is also some familiarizing with the character and generally first step in some R&D and locking down a style/ attitude and idea for a new client I'll be designing some wicked not-necessarily-politically-correct long boards for. 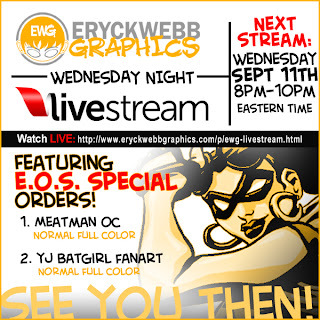 Tonight's bonus Livestream focused on End Of Summer Special orders. Just the next two people up. Will be livestreaming again thursday 9pmEST - finish. Will be doing at least two, maybe four. Will see. Thanks for checking this out :) If you enjoy these process/ working videos be sure to check out the rest of the process section of this site theres many many more. Or can always head over to the Livestream page on the menu and watch past videos there too. Will be broadcasting tonight at 9pmEST till complete on 2 or 4 End Of Summer Special Orders. Whichever are next on the list. Will be watching Agents of Shield premier at 8pm to see if its any good/ not irritatingly low budget and 'cheapening out' on special effects and proper costumes. Will also be livestreaming again on Thursday Night Livestream doing 2-4 orders at once. This will start 9pmEST and go till finished. Will be watching the Big Bang Theory premier 8pmEST and then hop on to get some work don after that. Other orders will be completed each day off stream during the day time. 9/22/13 - The first day of Fall. Summer is officially over and the season of colors and change rolls in. Football is on TV, nostalgic smells are in the air and the air is nice and cool. A personal work reflecting the new season! 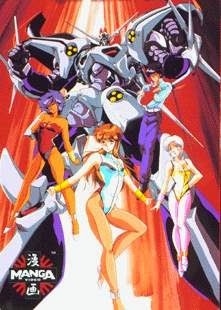 Anyone remember this classic early 90s Anime, 'Dangaioh' ? Was my first anime movie rental ever. 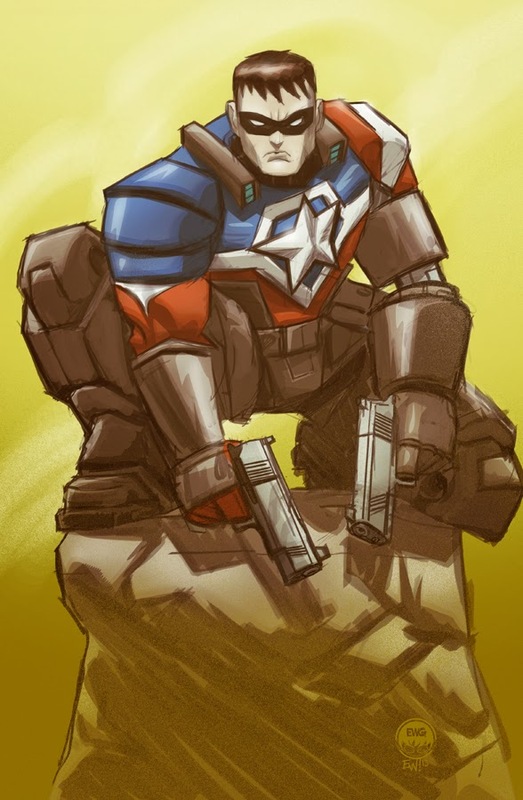 I think before this all I was exposed to was the transformers animated movie, sailer moon and voltron LOL. This movie, was mind blowing to me. And I still look at this end battle scene and love the style. Flashy, badass. 80s/90s anime was awesome. Anywho. Dangaioh, will always be a massive influence/ inspiration. Comment below if you've seen the movie, are a fan or remember it at all. Also if your a fan of this oldschool anime style! 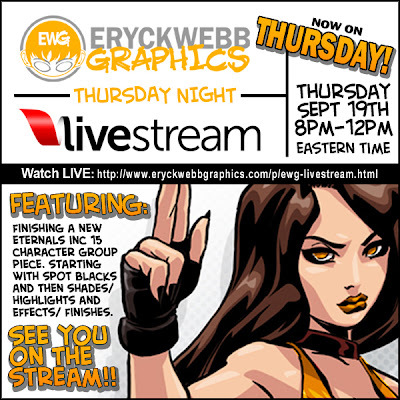 Will be Livestreaming 8pmEST tonight, featuring a new Eternals Inc group pic I've been working on. My attempts to get it done this week did not pan out so instead of 'finishes' tonight I will be going back to the drawing board literaly and redrawing many portions of it and re inking and hopefuly end up with happier customers all around. Right now as they have expressed, it 'feels rushed' and theres a lot of wonky proportions and though not my intention, feels a lot like 'time was not taken' with the piece. So, will be about a week or two till its completely done, but in take 2 of working on the piece, hope for a much better work all around, and happier customers. See everyone tonight 8pmEST over at EWG Livestream for the live broadcast of work in progress on the piece. 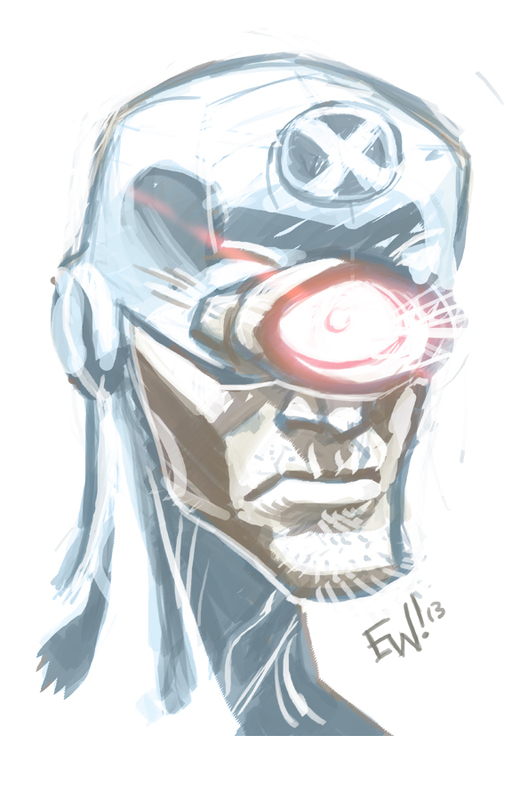 Warmup this morning - some playin around with Xmen's Cyclops. Was pushing proportions and shapes a bit then it finaly ended up more towards normal but theres still some exageration in their and the feel of it being chiseleed out of stone or something. Also was goofing around with his eye piece. The thought was 'what if it was just a big round eye on the front of his head'. I started making it even bigger... dunno will experiment with it more another time. But I enjoyed caking on paint and chiseling it away here and there. All photoshop 8.5x13, about 40 minutes start to finish. Not the front-most guy's leg and the small leg on the guy at right and little stuff. I mean none of it is a show stopper but I see it and the customers see it so it must be fixed. Livestream tonight starts at 8pmEST! Just click the 'EWG Livestream' button on the menu at right and can see the channel now and watch live tonight! 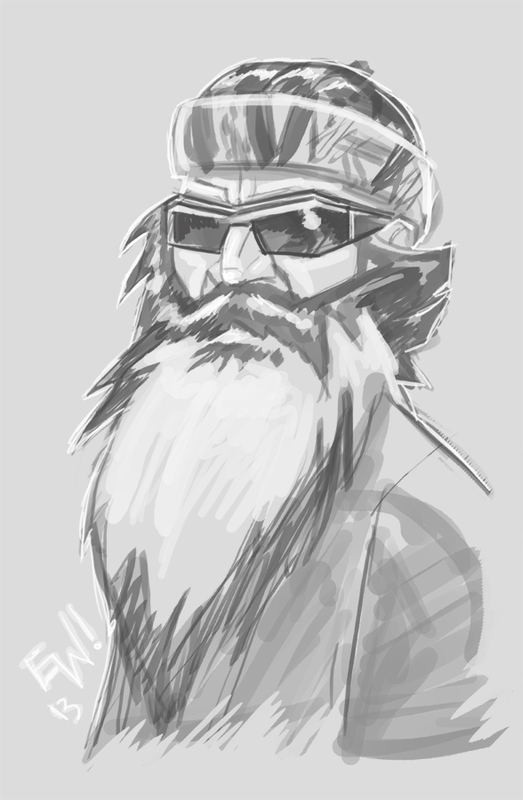 This ones self explanatory... prob my fav character next to his brother Si, Phil ... who started the Duck Commander 'Dynasty' and coined the 'Happy Happy Happy' phrase. Probably the wisest of the bunch. Part of a series I plan on doing of each of the integral characters. I don't care if its 'reality' or if its 'scripted' I really truly enjoy this show. Its a good time and one of the few clean shows on TV which adds to it I believe. 8.5x13, about 30 min. My goal here was to capture the shapes and features that makes the character recognizable. The nose/ glasses the distinct beard and little other characteristics. The Weekly EWG Livestream night moves to Thursday. Mainly cause got stuff on Tues and Weds and the viewers all seem to have stuff on those days too. Thursday seems to be the overall preferred night. So Thursday Night Livestream is go! This Thursday features the finishing of a new 15 Character commission featuring the Eternals leader Colosso and the new blood of the group, posing on the stairs, infront of their headquarters, ready to rock and roll. The art will be lineart inked and flatted by Thursday, and Thurs night will feature blackfills and shades/highlights and effects (all the fun stuff). Come see it happen live 8pmEST Thursday! Going till around midnight, but will go longer if needed. This morning's warmp is of the ninja turtle that got me drawing back in 3rd grade, Leonardo. Ever since I been a huge turtles fan. 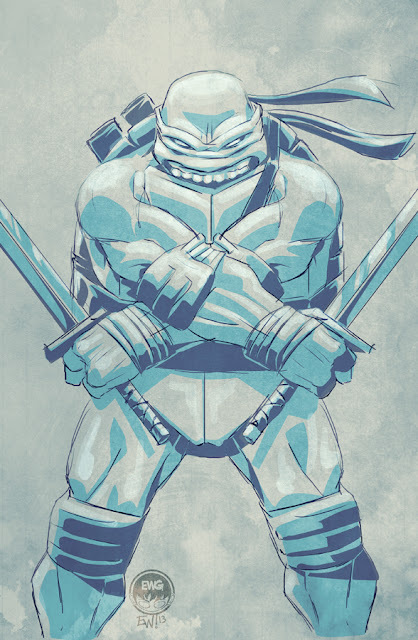 That was around the time I had the figures, watched the tv series like it was religion, loved the movies in theatres and traced out of a TMNT coloring book every day till i started redrawing it from memory, then started experimenting with changing that same pose i drew over and over and eventualy was free-styling it on my own. The volution that is now EWG baby! Alright... onto lots o work work rest of the day. Have a good one! About 40 minutes, sketched and finished in photoshop with brush tool for lines and pen tool for fill blacks and shades and brush tool with stylus opacity for the highlights and then some weathered paper texture for the finishing texture and some color balance tweaks. New Jumping Boy, 'Waste Disposal' has updated! 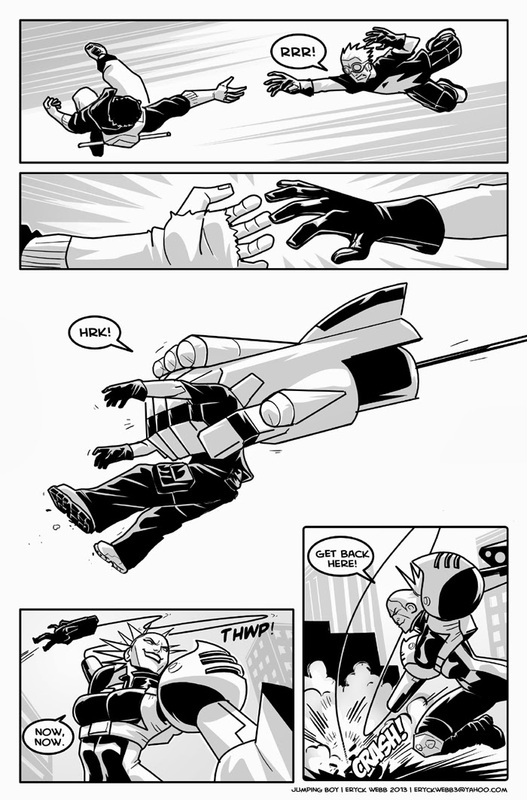 New episode of JumpingBoy, 4.11, 'Waste Disposal' is updated! 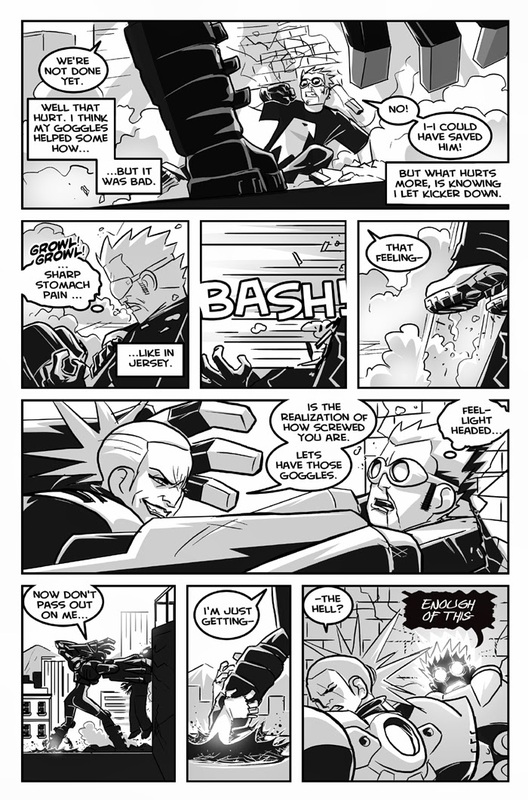 Read it as well as all the story so far of this original Eryck Webb webcomic adventure series, over at http://jumpingboycomic.blogspot.com and on Tumbler and DeviantArt accounts later on in the week! End Of Summer Special A Wrap! This Special Is Now Complete! It ran from Sept 1st to Sept 15th. Thank you so much for the wonderful feedback and encouraging response! All orders will be completed by early October at the very latest. But will shoot for much sooner. Look for some of your orders to be completed on live-stream over the next couple of weeks but not all. Thank you very much for those of you who jumped on this offer. 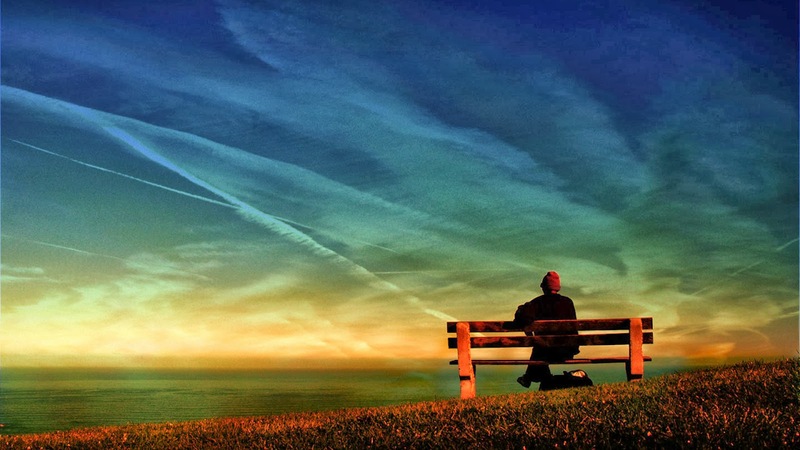 Your encouragement guarantees there will be a special like it again in the future. This morning's warmup got taken over by Friday The 13th! 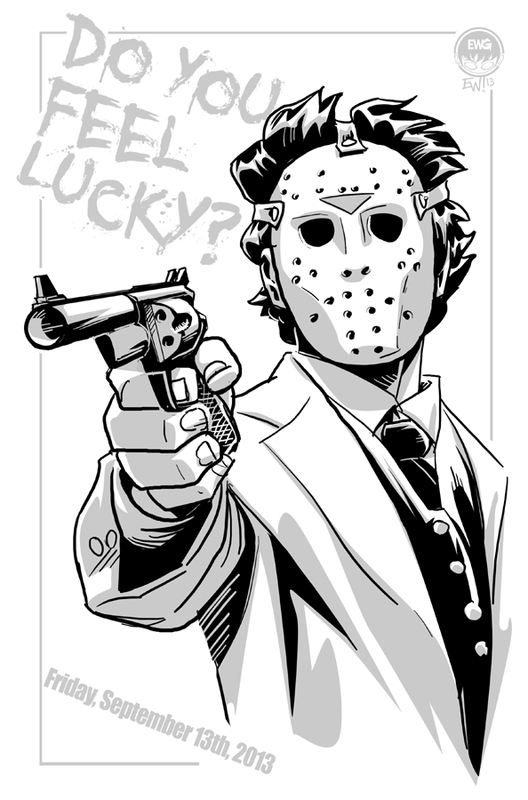 I did some research and its based around the 'unlucky number' falling on 'the unlucky day' of the week and so I then some how came to the fact Jason from the Fri 13th movie series and then 'Do You Feel Lucky-Punk? Well Do Ya?' line from Dirty Harry and ... so. Yeah! Was fun :) Dunno if its ever been done before. 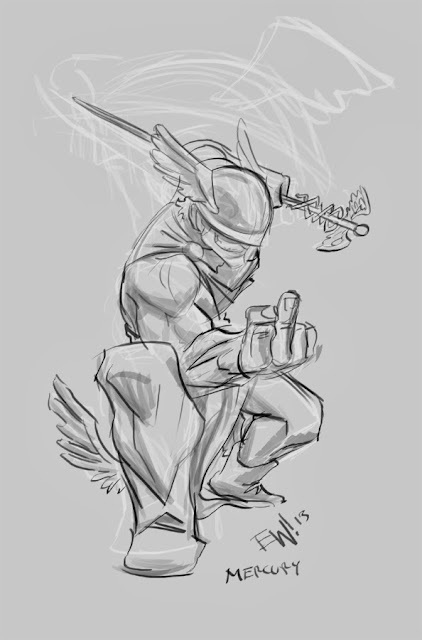 About an hour warmup start to fin all photoshp with a few photos for reference. Finished up this two chibis tonight on Livestream. The crowd was better than the official event I had lastnight (EWG Livestream Wed). Maybe I'll have to start doing the weeklys on Thursdays. And I'd be able to watch my Wed night shows. Whoddathunk? Well these were both a lot of fun. I enjoyed each for their own reasons. The one on the bottom was the first, of Jupe's OC 'Chance'. I went for a cute happy to lucky approach and wanted the whole thing to center around her staff some how. So I think its doin that. This was a bit of an unorthodox one because I didn't use very many black fills. 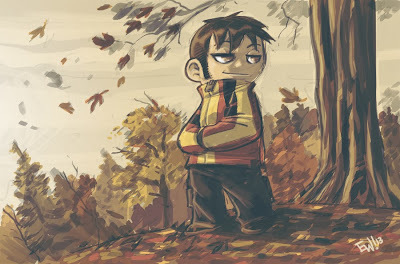 But I dig the atmospheric colors for sure. The one at top was the second one, took about 15 minutes longer apparently but felt like it was taking much longer. 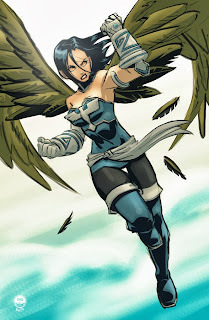 I enjoyed this one's character design had not heard of the game/ or character before. But played off the whole treasure hunter vibe at the top of some serious loot. Fun stuff, I even used a weathered paper texture on both to just add to their already abundant texture/ inkwash effects. 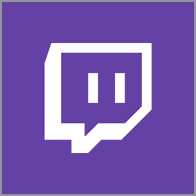 Enjoy the Livestream videos below! See you next week for another stream! Have a great weekend! Lastnight's EWG Wednesday Night Livestream was a fun one, had half a dozen viewers out or so. Thanks to those who made it out. Rocked out with a robust rock soundtrack and sketched out two End Of Summer Special orders. Will most likely do more evenings of them while I whittle down the list. End Of Summer Special ends Sunday (aka Saturday at midnight). 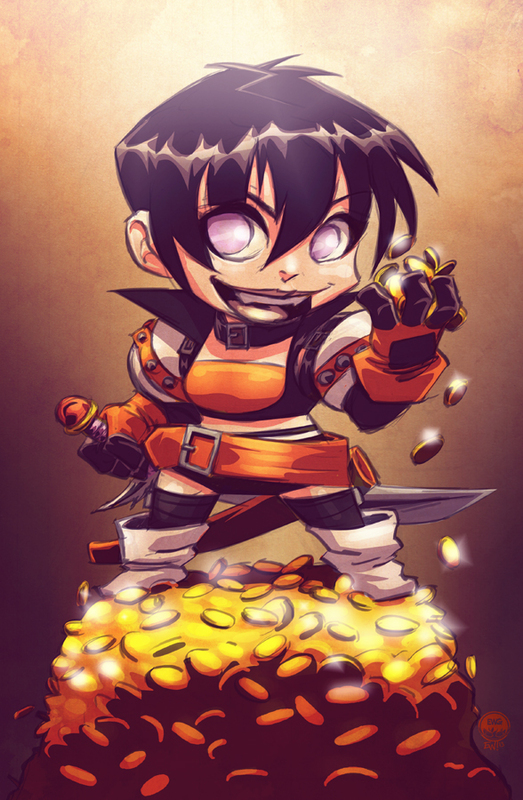 Grab up some chibis or character art before the special is over. After that a retooling of the regular service price-list will take place and be the ongoing way of things once again. The stream went well with no complications hardware/ software or meware at anytime. Nice smooth session. Enjoy the start to finish two-at-a-time commission session from last night on this Livestream recording, and see you next Wednesday! Also keep an eye on EWG DevianArt journal, twitter and especially EWG facebook for announcements of impromptu streams over the next couple of weeks. The End Of Summer Sale is just available for one more week. As of Sept15th (this Sunday) it will close. 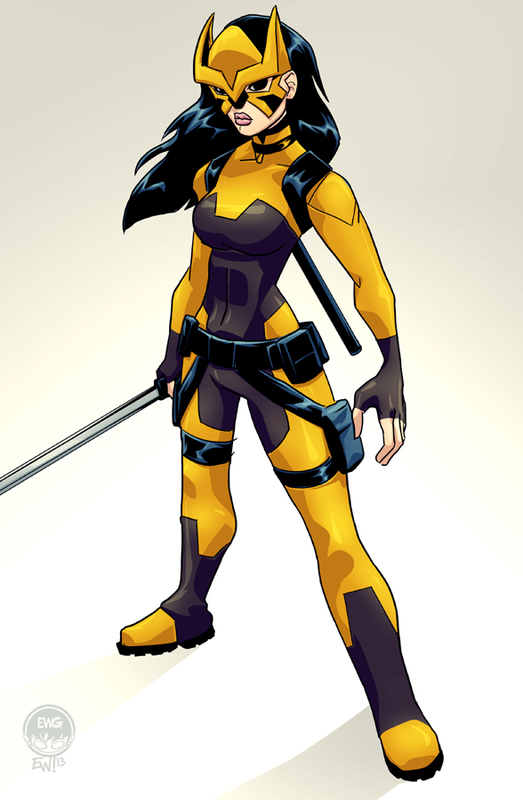 Get your original character art and fan art for lowest prices o' the season. This final week is half over now! All orders will be completed by early October at the latest so hurry in and get yours! Go Go Go! 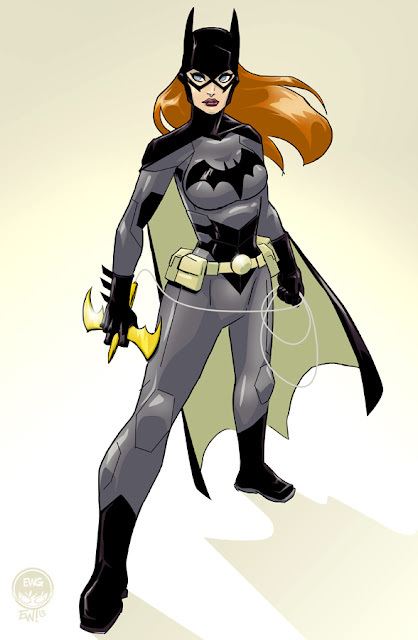 Wednesday Night Livestream this week will be a 2 hour session (thats the goal anyway) and feature two normal commissions, one of a customer's original character 'Meatman' and second of a YoungJustice fanart commission of 'BatGirl' - will be working on both simultaneously and hopefuly have them done by 10pm, but will go over if needed. See you then! Wanted to share a work in progress screenshot working on TnC #9 this morning - just a little channel flippin, or volume uping, or tv offing. But even the casual shots require a lil' proper execution. Attention to how fingers are on a remove and how one might prop themselves on a couch. Anywho! Getting this inked up and shooting over to cory to color/finish. Fun stuff. If you'd like to see more 'in progress' desktop screenshots like this with other projects to study/ etc let me know by commenting below or on facebook! 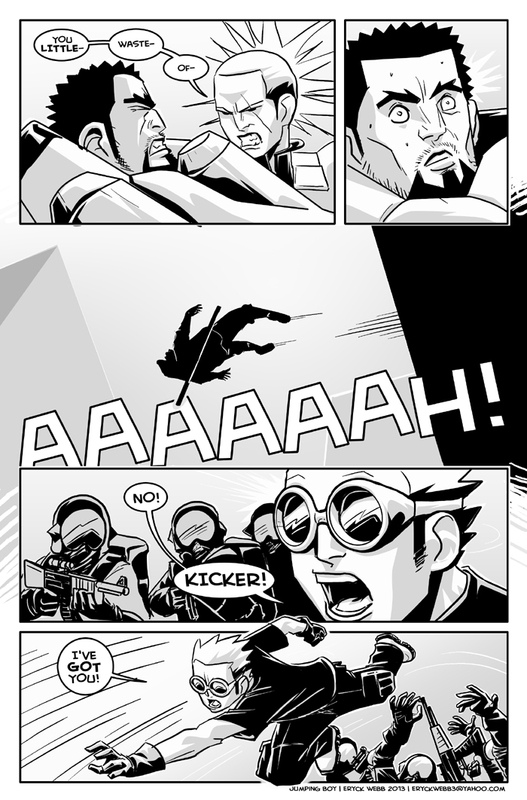 TnC #8 Posted This Morning! End Of Summer Special - 1st up, Sirah! New Jumping Boy 4.9 is up!